Obviously, if roses grow like that in Portland, there must be something in the climate similar to England, and there is. It rains a lot, it’s cloudy a lot, and the weather is temperate: not too cold in the winter (generally), not too hot in the summer (generally). There is a lot of English influence on the architecture as well. I learned that the early founders of the city were from New England, and thus were probably of British origin, because most of the older houses, built between the late 1800s and about the 1920s, are either Tudor style or are reminiscent of English cottages. You also see English-style gardens in front of homes wherever you go. It’s not to say this city doesn’t have deep roots in the American Pioneer spirit, strong ties to the Native American people, and a distinctive Japanese influence, because it certainly does. But somewhere between Lewis and Clark and the Japanese immigrants, the British tradition made its mark. Granted, as an American, I may have an idealized fantasy of what British people, and life in England, are like. However there are two ladies that I particularly associate with Portland who bring that English sensibility alive for me more than anything else. One was my grandmother, who lived here most of her life and who passed away many years ago. She was of British and German descent, gentle and sweet, loved tea sets, grew amazing roses and violets, and taught me how to sew. Whenever I think of her, I think that she must have been like so many British women of her generation – stalwart and determined, yet feminine, and focused on home and family. My aunt, who is still very much with us today, is the other Portlander that seems so very British to me, and…drum roll please, her maiden name was Austen! Now, she doesn’t claim any direct relation to Jane’s family line, but I bet there’s a connection somewhere there. She, also, is gentle and sweet with an English Rose complexion, but a strong woman who raised five remarkable children. She treasures her garden, loves to knit and quilt, plays the piano beautifully, and, in short, is the kind of accomplished woman that Jane spoke of so often in her novels. Sitting down and chatting with my aunt is never complete without a cup of tea, and the realization that the visit has no other purpose than just that: a visit, a chat, like was so common in Regency times. Coming to Portland was such a natural transition for me. From living most of my life between the desert Southwest and New York City, I feel I’ve finally found a place that is more conducive to channeling Jane than any other place I’ve been, other than England itself. Is there a place or a person that connects you and your writing with Jane Austen? Will you share it with us? Portland sounds lovely. Living in Texas, there is nothing that makes me think England. Fortunately for me, I was born and raised in the Washington, D. C. area. More formal manners, attention to the little details of society, a taste for historical architecture, and similar things seem to be second nature. I brought my Austen/Regency inspiration with me. I have family in the Roseburg area of Oregon, so when we still lived in California, traveling to Oregon was a frequent vacation. We have, over the years, spent a great deal of time in Portland too. Once, we planted our RV there and stayed a whole week! I will confess that the climate is not for me on a permanent basis, but it is SO gorgeous there! We toured the Rose Gardens, and I can attest that they are PHENOMENAL! My husband, who is a photographer, was in heaven. My kids were young, yet they still recall the Gardens, mainly the smell. I can certainly see where the comparison to England would come natural. I now live in the southern area of Kentucky, and often think of the comparison with England. In part, it is the same lush greenery. We get LOTS and LOTS of rain here, although unlike OR and WA the rain comes in deluges rather than constant drizzles. 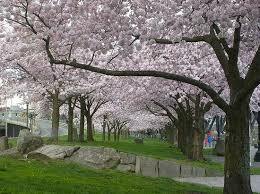 But, the end result of eye-dazzling green and verdant flowers is the same. After decades living in drought-ridden CA, living here is a continual celebration! Also, as we live smack between Louisville (home of the KY Derby and Churchill Downs) and Lexington (horse breeding central) we are surrounded by rolling hills of bluegrass where horse ranches are around every corner. During the months of April and May, the talk is nothing but Derby, big hats and all! It is SO reminiscent of England that for me it is inescapable. The way you describe where you live sounds heavenly, Sharon! Yes, I will agree that the rolling green hills are more like England than the mountainous landscape around here, but it’s Portland in particular that has that English quality – so glad you’ve been here and enjoyed those roses!. And I hear you about the climate – it’s not for everyone, but I tend to like the foggy, misty, rainy-ness. I think there are spots in our country that are more influenced by, and reminiscent of England than others, and those of us who live there are lucky! Thanks for your comment! I live in close-in Southeast (Woodstock neighborhood). I LOVE Portland. It is beautiful, and has great neighborhoods. Hey fellow Portlander! Love the Woodstock neighborhood! I live in SW near Multnomah Village. Wonderful post Georgina. These photos are beautiful! Recently, I’ve noticed several Austen authors now call Oregon home. Apparently you are not the only one who loves the area. 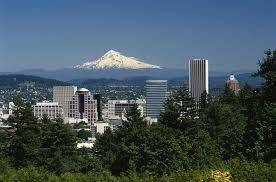 I have relatives that live near Portland and they talk of the beauty of the area. I loved your photos and cannot imagine the glory of so many roses in bloom at once or the air filled with their fragrance. How absolutely marvelous. Thank you for this post. It really is a special place, J. W.! Portland sounds great. I’ve never really given any thought to visiting before but now I feel that it would be worth going. Thank you for sharing. My husband had a great great grandfather who immigrated from England and he brought with him a tea set that has been passed down that is absolutely beautiful and makes me think of Regency England. Those heirlooms mean so much. I’m glad you have such a beautiful keepsake from your British great-great grandfather. I definitely encourage you to visit Portland. It is truly a beautiful city, and there’s so much to do and see here and in the surrounding region!